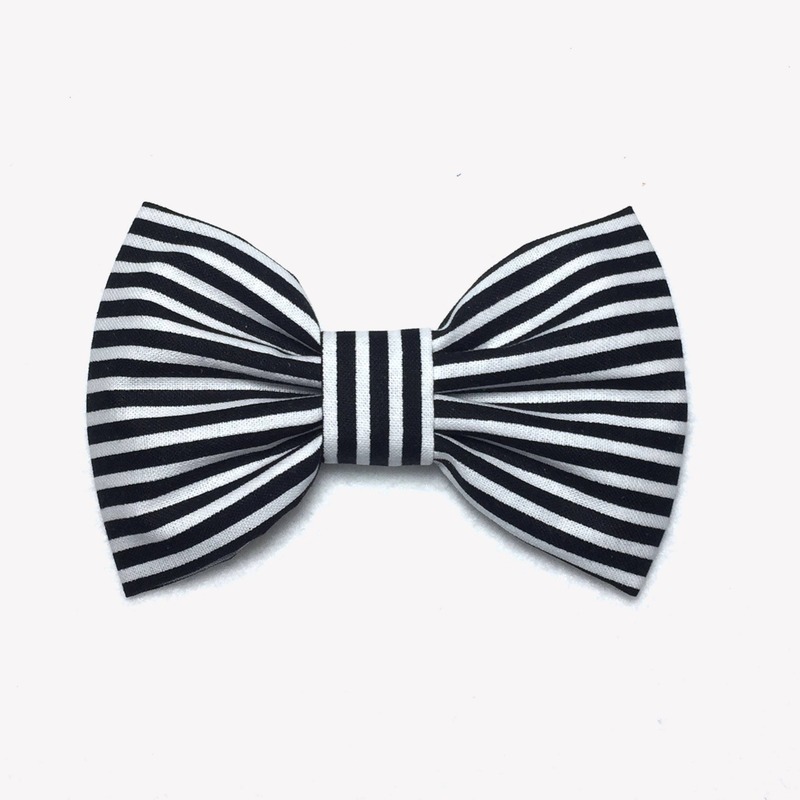 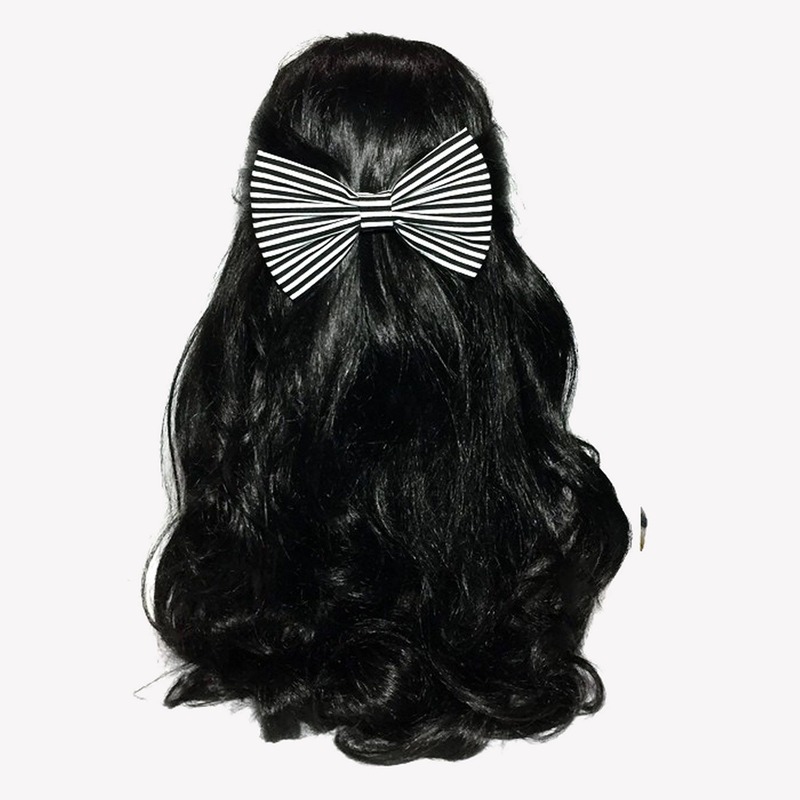 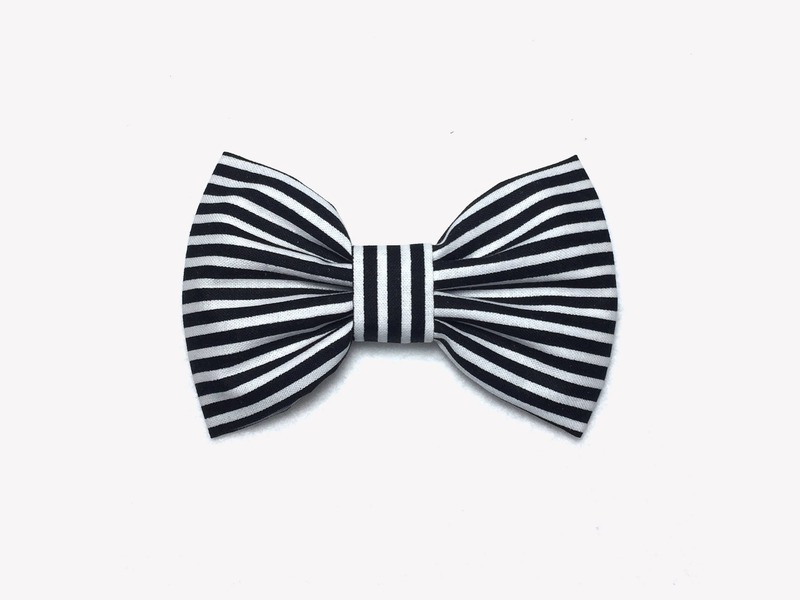 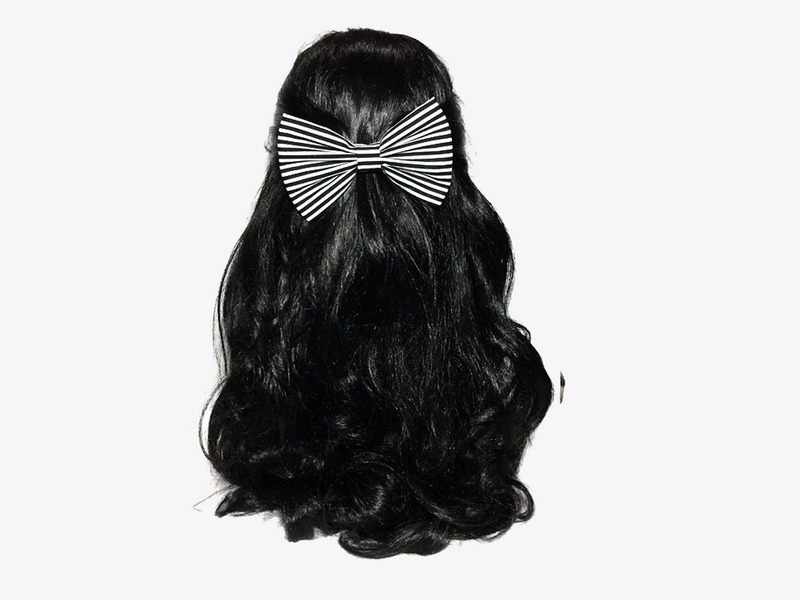 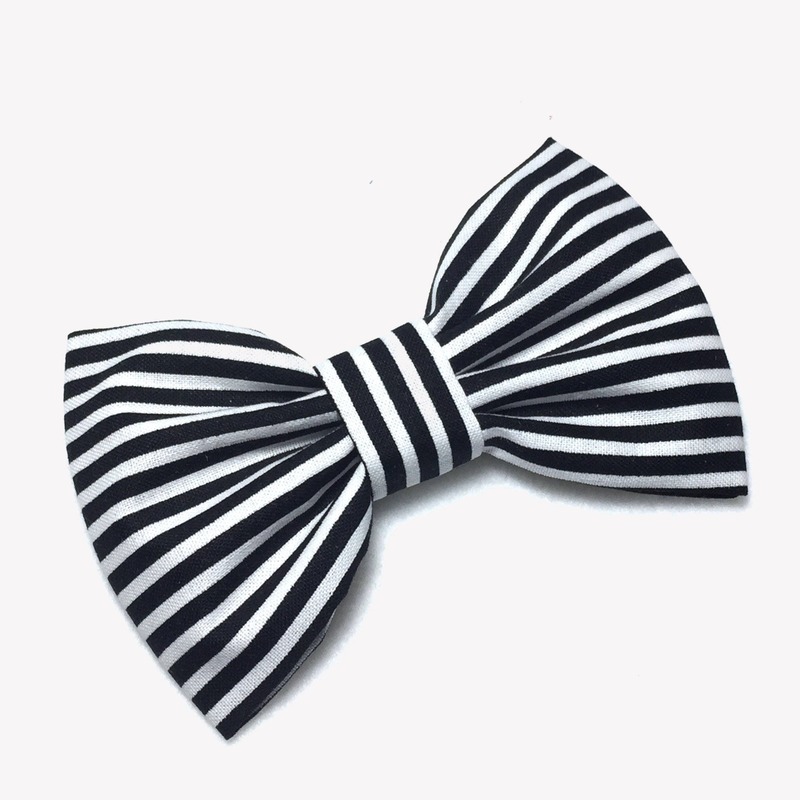 This black white hair bow is handmade on a striped cotton fabric. 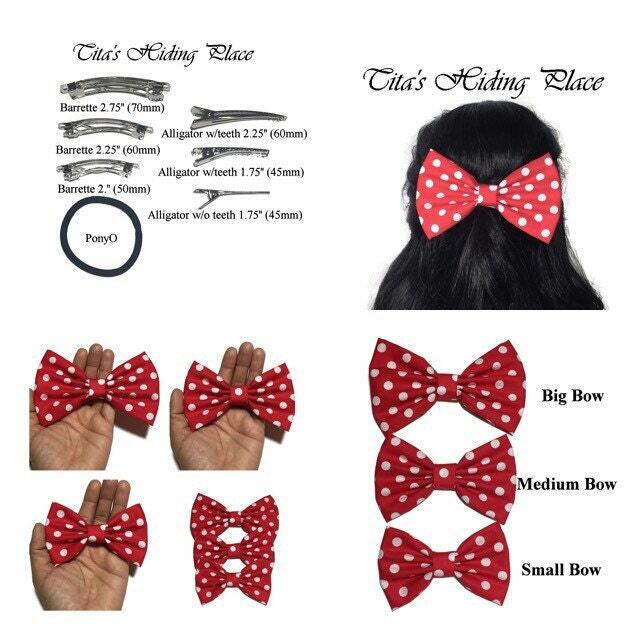 Super cute bow, I love it! 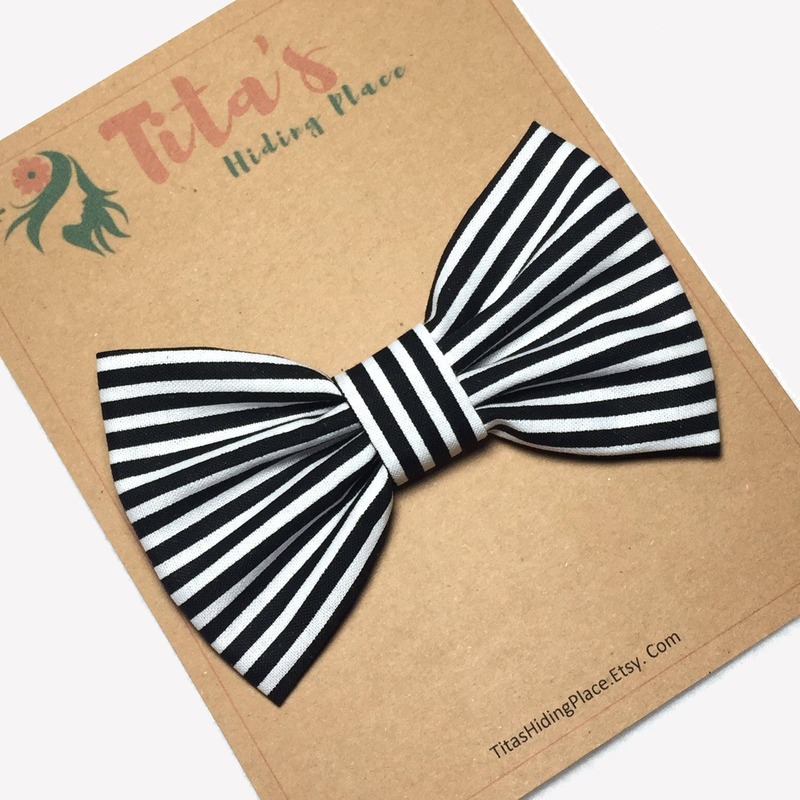 Shipping took awhile. 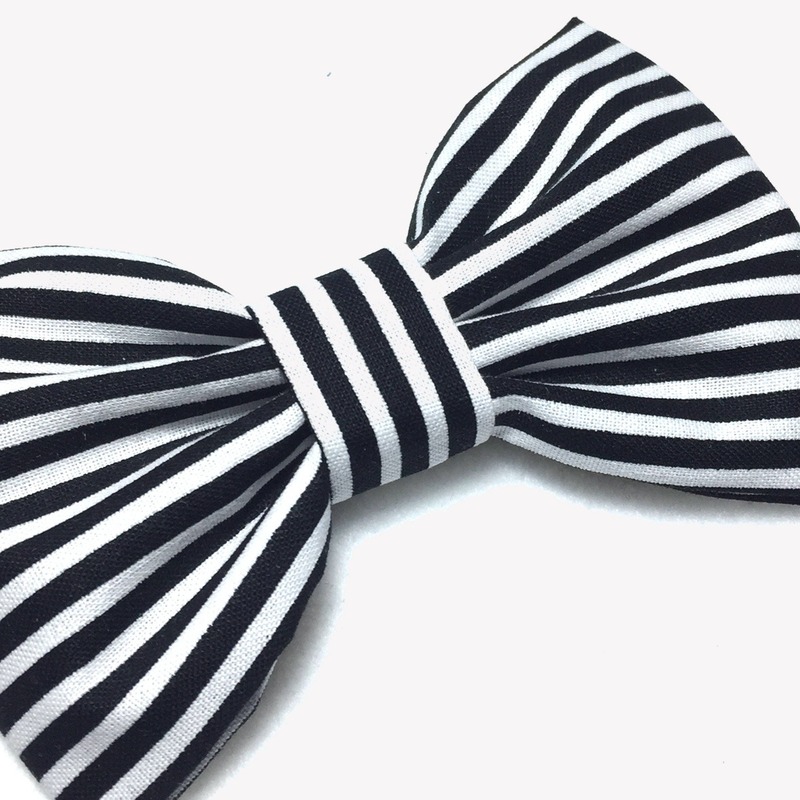 Amazing quality for this bow!